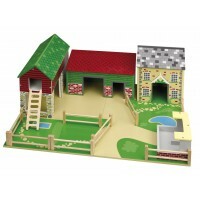 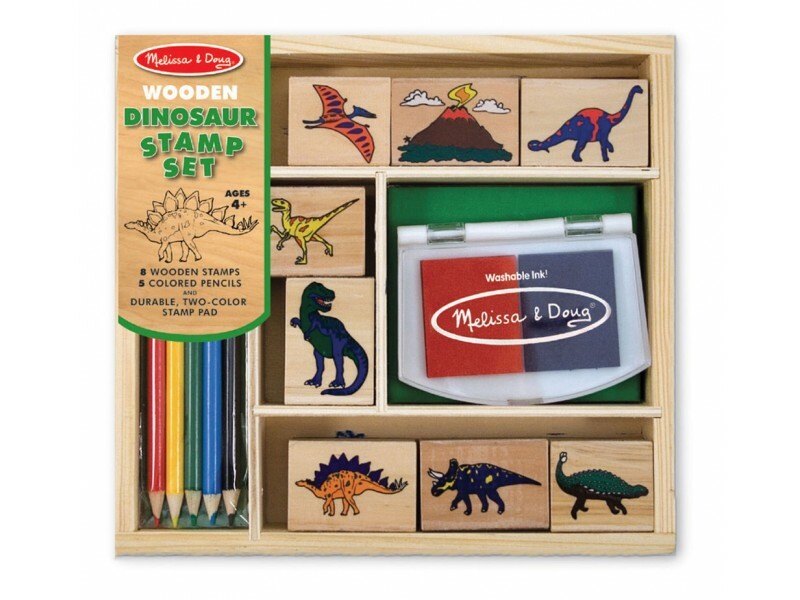 This is a fantastic wooden toy for children who are fascinated by dinosaurs and who love arts and craft toys. 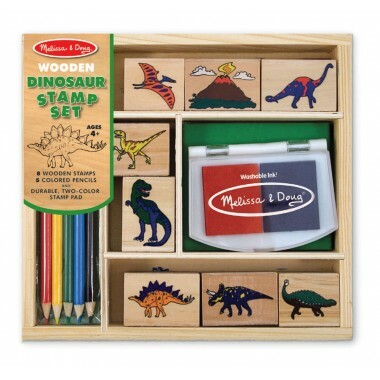 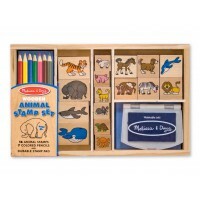 This stamp set by Melissa and Doug contains eight dinosaur stamps with an inkpad of coloured ink and five coloured pencils which will inspire hours of creative prehistoric fun. 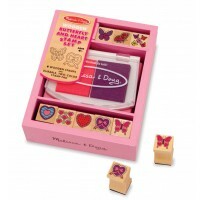 The stamp set comes in a very useful wooden box which is ideal for organising and storing the stamps.